Yesterday, Oscar nominations were announced, and, despite the fact that the song was nominated, Everything Is NOT Awesome, because The Lego Movie was snubbed. To deal with this vicious assault on our feelings, we obviously turned to food. But not just any food. 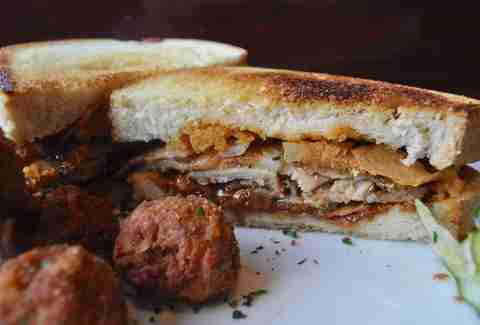 We found solace in thick, custardy French toast oozing with Nutella and a Texas toast sandwich with pork belly & peanut butter. 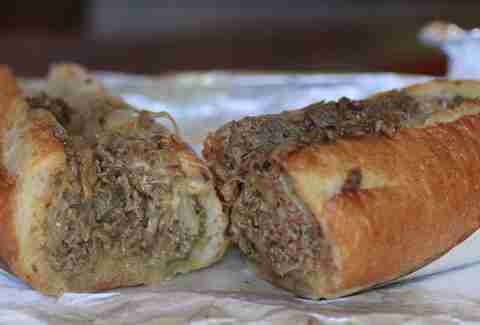 Oh, and a cheesesteak with a 1/2lb of meat, because, as Morgan Freeman said, "the only thing a human needs to be fat is to believe that you can be." If you eat enough of these classic Southern staples, you're sure as hell gonna need to get comfy. Like, elastic waistband-sweatpants comfy. That's because you're going to be eating a fluffy, fresh-baked, open-faced biscuit that's topped with a crispy fried bird, blanketed in creamy sausage gravy. 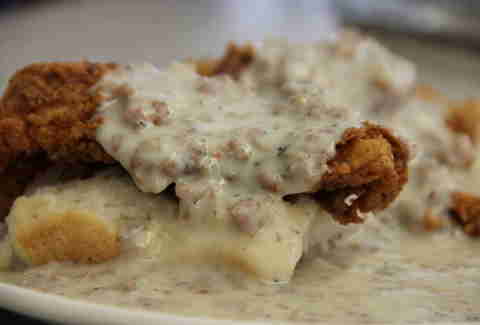 We're still unsure as to why all blankets aren't made of sausage gravy, but we have faith that Obama will figure that out soon enough. The name of this PDX sandwich spot tells you exactly what you need to do when you're there, and, really, why would you want to do anything else when you've got your hands on a roll housing HALF A POUND of thinly sliced steak, cheddar, provolone, fried onions, and peppers? Not downing this thing immediately would be a serious mistake. So shut up and, well, you know. No, that's not a typo. An unlikely combo of ingredients, the roasted pork belly, peanut butter, spicy apple & Sriracha jam, and fried tortilla strips in this Texas toastified sammie make for the most next-level PB&J since you first tried Fluff. So much so that your average 'wich just won't taste the same without a piggy pick-me-up. 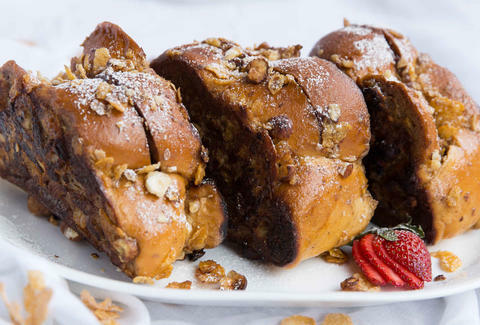 Sure, you may have had Nutella-stuffed French toast before. 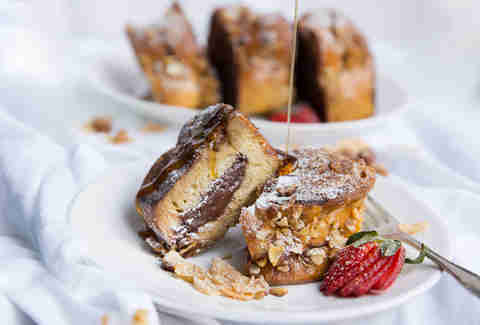 But thick, rich Nutella-stuffed French toast crusted with crushed hazelnuts and Frosted Flakes? That's something only our very own culinary mastermind could dream up. And she did. The recipe makes four servings (aka four slices), but, should you feel inclined to essentially eat an entire loaf of challah (and you should), we won't judge. And neither will Tony. Rachel Freeman is a Food/Drink editorial assistant at Thrillist, and thinks being stuffed with Nutella-stuffed stuff is the way to be. Follow her to stuff: @rachelifreeman.